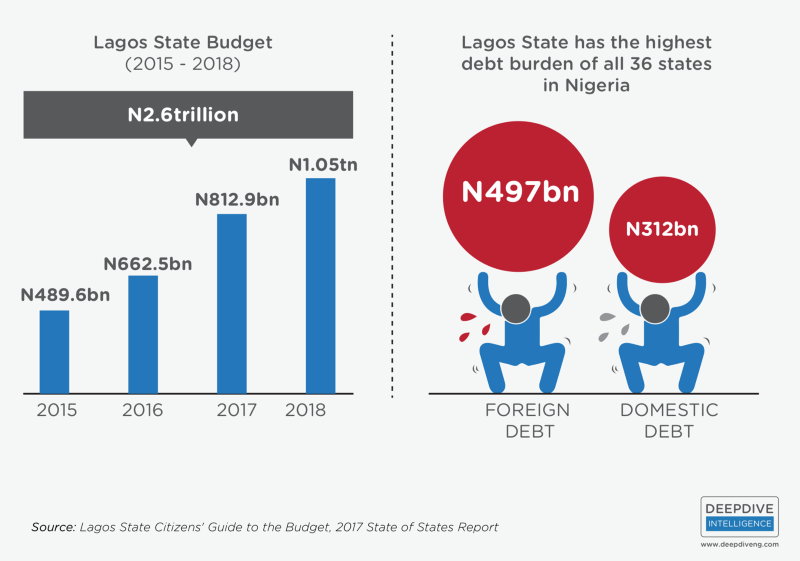 With a GDP of $91bn (N31.8trillion) and a population of 17m people, Lagos has a nominal GDP per capita of $4,300 — bigger than that of 42 African countries — including Nigeria and Kenya which have a nominal GDP per capita of $2,300 and $1,455 respectively. In the next 10 years, Lagos state has the capacity to grow to a GDP per capita of $8,600 comparable to those of the strongest African economies like Seychelles ($15,400 GDP per capita), Mauritius ($9,421 GDP per capita) and Libya ($6,157), however, the APC-led state needs more depth of vision from it’s current leaders or a new set of leaders to make this happen. Contrary to the popular myth that Lagosians always follow the political directive of Bola Ahmed Tinubu and the Oba of Lagos, His Highness, Oba Rilwan Akiolu, Lagos is not politically homogeneous. With a very high youth literacy rate of 95% and adult literacy rate of 80.5%, voters in Lagos are less susceptible to propaganda and more likely to vote based on real issues and each candidate’s strategy to address those issues. In 2015 gubernatorial elections, despite Lagos being an APC-controlled state, 659,788 Lagosians voted for the challenger Jimi Agbaje of PDP who narrowly lost the election to the state’s ruling party candidate, Akinwunmi Ambode of APC who received 811,994 votes. Similarly, 15 years ago 740,506 Lagosians voted for the challenger Engr Funso Williams who also narrowly lost to the state’s ruling party candidate, Bola Ahmed Tinubu who polled 911,613 votes. Engr Funso’s track record in construction projects was well noted by voters — 70% of all roads and bridges constructed in Lagos at that time were done under his 17year stewardship in Lagos state’s civil service. Also, it can be argued that Jimi Agbaje’s 659,788 votes in 2015 were largely due to the quality of the policy frameworks proposed in his manifesto and his understanding of the issues affecting Lagosians. Statistics show that 53% of Lagosians believe their rent is too expensive. This notwithstanding, in Q1 2018 Lagos state introduced a 400% increase on its “Land Use Charge”. 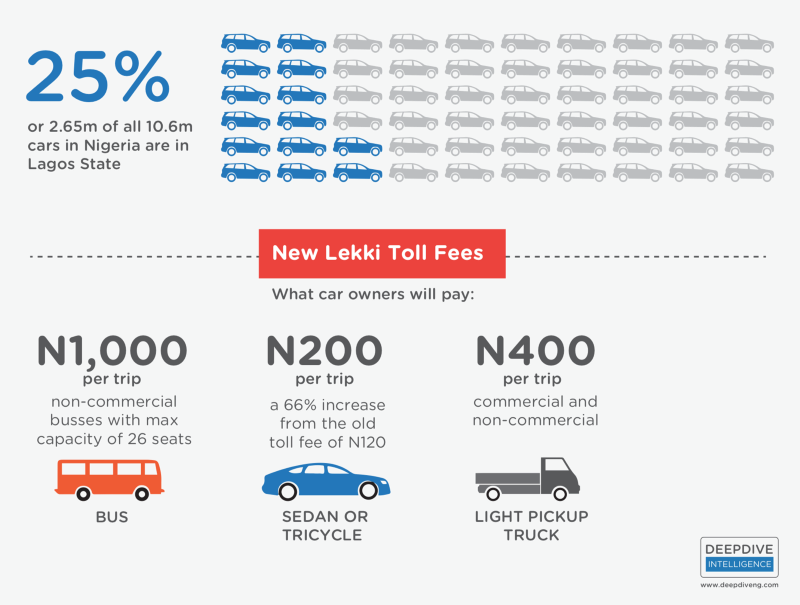 Although on March 15th, 2018, the APC-led government announced a 50% reduction in the new Land Use Charge, this simply means that Lagosians will experience a 200% increase as opposed to the 400% increase initially announced. A case in point is the Land Use Charge bill sent to the property at #412C Omofade Crescent, Omole Estate Phase 1, Ikeja which the government’s agents, by sheer voodoo, have valued at N588,566,400; the landlord was thus given a demand notice of N4,478,990. Even with the 50% discount announced by Lagos State government on March 15th, this property will now pay N2,239,495 as opposed to the initial charge of N4,478,990. Make no mistake, landlords are businessmen and women, not charity organizations — they will not absorb this new cost for tenants; they’d simply pass on the cost to each tenant’s annual rent — if there are 4 tenants in that compound, each person’s rent will still go up by N559,873 per year (N2,239,495/4). House rent increases like this one triggered by the Land Use Charge could shake as many as 4.5m Lagosians out of complacency during the 2019 election cycle. One clever thing APC strategists have done with the Land Use Charge is to protect the Big5 churches headquarters/regional HQs (Mountain of Fire, Redeemed, Christ Embassy, Deeper Life, Winners Chapel) and mosques in Lagos from paying this new Land Use Charge Tax. According to the government, properties owned by NGOs and churches would be exempted from paying this charge; a church like Mountain of Fire would have had to pay between N4.5m and N90million yearly; the backlash against APC’s government among millions of pentecostal christians would have been instantaneous — not just in Lagos but across MFM branches in the country. Keep in mind that in a religious society like Nigeria, the pulpit is fastest way through which politicians can subtly spread or curb propaganda; it’s the reason you see aspirants visit pastors from the Big5 churches and popular imams during election season. Also, we observed that APC Lagos state seems to have thrown smaller churches and NGOs under the bus; these smaller churches do not own land and mostly operate from rented/shared facilities owned by landlords who are not exempt from the Land Use Charge. These smaller churches can expect their landlords to pass down the cost as an increase in facility rent. 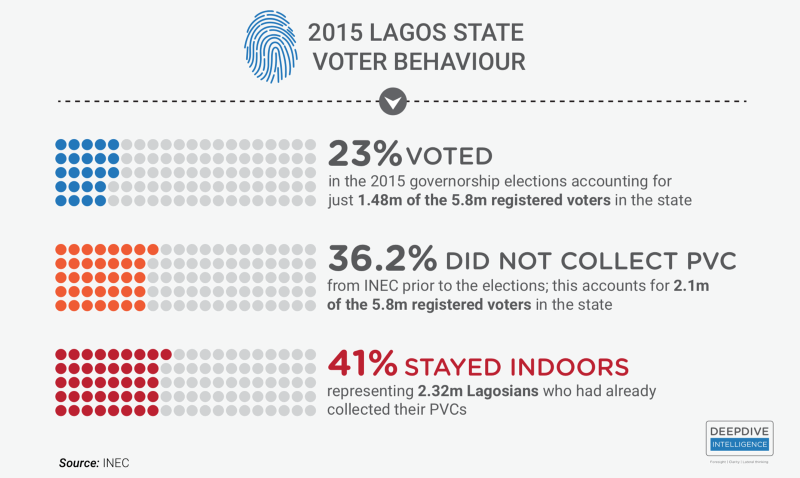 In return, the Lagos state government can expect ‘retaliation’ from this voting block in the 2019 election cycle. Category 2: If your compound generates its own drinking water, you are affected. 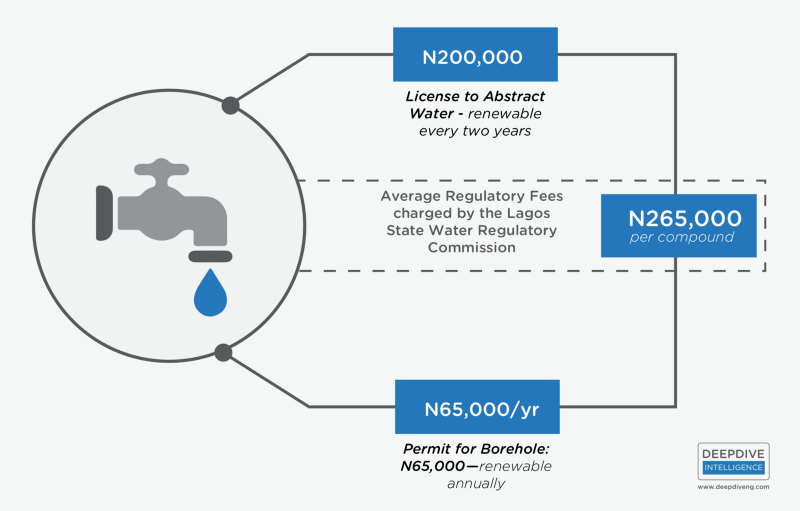 With new regulatory fees issued in February, 2018, Lagosians can expect to pay as much as N265,000 in regulatory fees if they have their own water pumping machine. See the infograph below. As a result, if there are tenants who live in such compounds (who are most likely members of the middle class) would see their rent increase by another N66,250± as their landlords will pass this cost down as an increase in their annual rent. 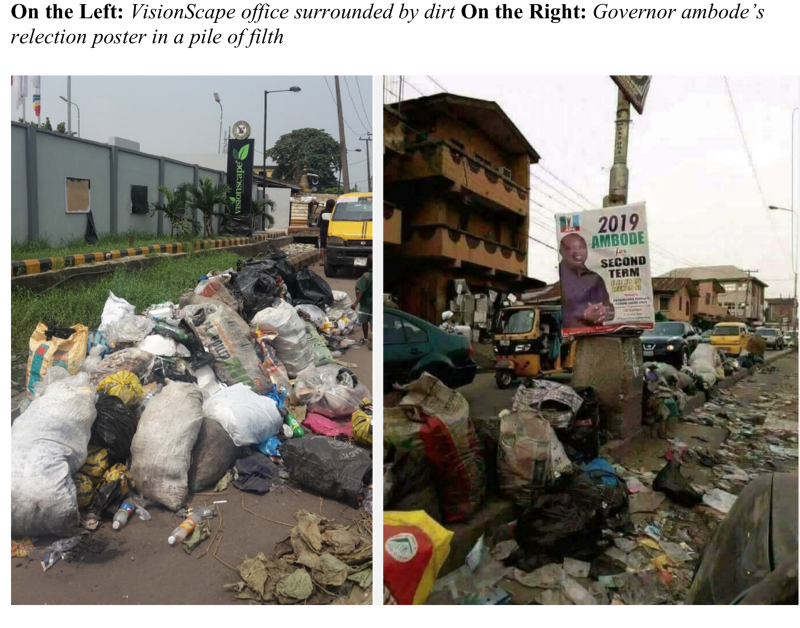 Since the revocation of Private Sector Participation (PSP) operators’ license to manage waste in Lagos State, and award of same to one company — VisionScape, many parts of Lagos state have become a huge pile of filth. Not only is the current company inefficient in waste management, but the PSP operators could lose as much as N6bn in investments already made into waste management trucks and other assets prior to the revocation of their license. APC-led government in Lagos state can expect former PSP operators to subtly work against them in the 2019 election, even if few members of the PSP association are bribed with contracts to issue favourable press releases. 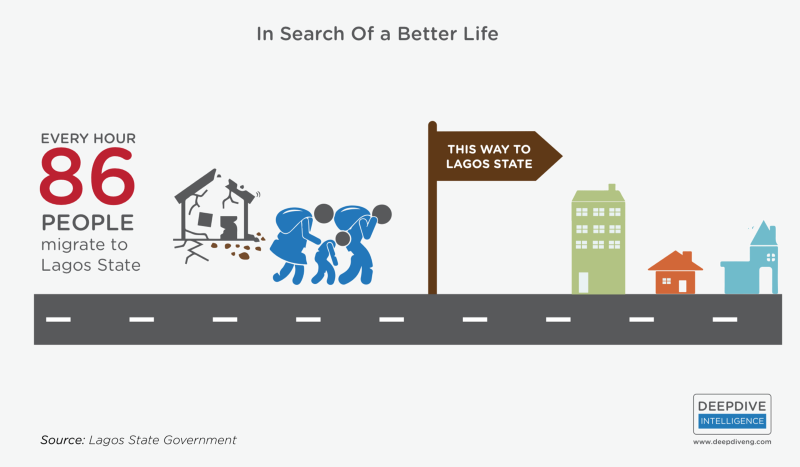 An estimated 86 people relocate to Lagos State per hour and with a population density of 20,000 people per km2, a population growth rate of 8% per annum, Lagos state is estimated to have a housing deficit of 1m houses. In this light, it is exciting that Ambode’s administration has a Rent-To-Own Scheme which allows Lagosians buy a house with down payments as low as N100k and monthly mortgage as low as N21,093 per month — and beneficiaries are allowed to live in the house while paying for it. To meet the 1m housing deficit in Lagos, 100,000 housing units per year needs to be constructed for the next 10 years. So far, not up to 10% of this target is being met per year by Lagos State government’s overall housing policy. This is partly due to the ruling party’s strategy of restricting lucrative construction projects to a very small political family and those this family endorses — to the detriment of the majority of Lagosians; in many cases those endorsed do not have the financial or technical capacity to execute critical infrastructural project they are given at the necessary scale. Nonetheless, the Rent-To-Own scheme is a good one that will be used as a potent campaign tool to sway many voters in the middle class to vote APC; even though majority of them will not benefit from the it until the restrictive framework around which the scheme is built is reformed by this government or a new one to allow more investors and real estate developers participate is put forward. For now, like the VisionScape deal, this scheme is very much being treated as another ‘job for the boys’. One other commendable project is the N25bn Lagos Social Employment Trust Fund, LSTEF which empowers unemployed and underemployed Lagosians with capital, skills and in many cases tax breaks to catalyze wealth creation. While there are a couple of good policies to write home about in Lagos state, Governor Akinwunmi Ambode seems to be shaking the table on which many in the middle class are standing. We note that he has had a total of N2.6trillion budget to work with since his assumption of office in 2015, leaving Lagos State as the state with the highest domestic and foreign debt — a huge burden the middle class and the poor will end up repaying via multiple taxations over the next 20years. In this light, it will be interesting to see how the middle class would react to APC Lagos’ policies in the 2019 governorship elections which is just 11 months away. Will the middle class let these policies slide? Or will they retaliate by shaking the N2.6trillion table on which Governor Akinwunmi Ambode is standing in the 2019 polls? Only time will tell. The battle for the political soul of Africa’s N31trillion economic empire, Lagos State, has just begun. Lagosians, will you be an active participant in this bloodless battle or will you be a bystander? You decide! Kindly follow DeepDive Intelligence on twitter: @DeepDiveNG to get notifications on our Strategy Briefs on the 5 remaining battleground states (Imo, Benue, Jigawa, Taraba and Plateau).